Thinking about attending GeekGirlCon with children? We welcome attendees of all ages and provide programming and experiences that are family-friendly. 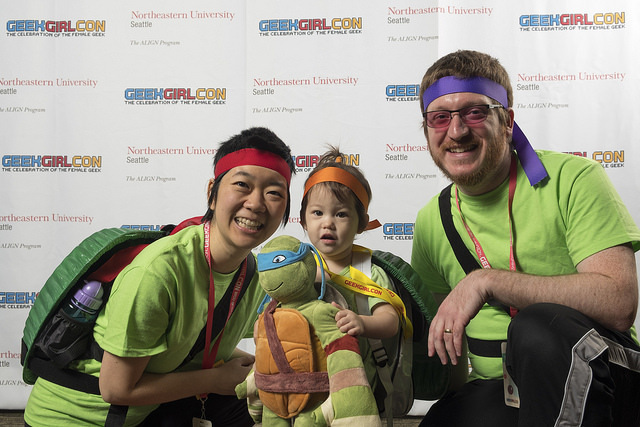 Past attendees have identified GeekGirlCon’s inclusivity and family-friendly environment as some of the aspects that make us stand out from other conventions. We call our attendees ages 0-12 “geeklets.” Children under the age of six attend for free, and passes for children ages six to twelve are $10 for the weekend. All children are required to have a pass while on WSCC premises and must be accompanied by adult. Most of our programming is appropriate for all ages. Some panels have age designations, which are enforced at the door by our agents. As the con draws closer, we’ll be highlighting a selection of panels, workshops, and events that we think are especially suited to geeklets! 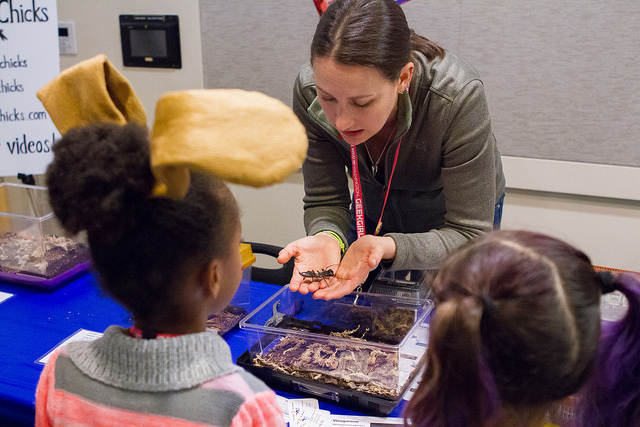 Visit the DIY Science Zone, where our highly-trained team of scientists and science educators will guide you through a selection of fun experiments and answer all your questions about their scientific specialty. Costumes are encouraged and celebrated at GeekGirlCon. We even have a special kids’ costume celebration on Sunday at 3pm. Sign up now to secure a spot! If you prefer to nurse or pump in private, a nursing room is& located on Level 2 Chelan.